Healthy eating. A topic of terror. Why does this topic of eating healthy and whole make people shudder? Well, for one reason, there is SO MUCH information out there! What is the truth and what do you follow for the best outcomes? To me, the issue of eating “right” is tough because just as we covered in last week’s post – no two people are exactly the same! Self care ideas for eating healthy can be all over the place. Now, this may sound frustrating, but trust me… doing this will save you TONS of time and headache down the road. What do you need to do first? Get in touch with you, your own body, and what fuels you up or fires you down. If not every body is made exactly the same, then the self care ideas for eating well are going to vary person to person. And the only way that you will be able to get a handle on what works best for you is to get to know your body and the foods that it needs. An easy way to do this is to start off with a food diary. Before you make any changes at all (that’s right- eat all of the “junk” food now, LOL) take stock of what you currently eat and how it makes you feel. So, for example, I eat an apple and I feel heavy in my gut. I eat spinach and I feel energized. I drink coffee and I am awake. I eat pizza and I feel happy, and then full. Take some time- and I would suggest one month- and carry a note book with you at all times. Each time you eat, write down what you had and how you felt after you ate. Right after you ate and then 30 minutes after you ate. There are also different body types, did you know that? Coming from the Ayurveda tradition, bodies can be classified into different types. For example, I may be a very “fiery” person and so I have a specific body type in physicality and energy. And my husband may be a more “airy” body type and so what I would eat wouldn’t do the same thing for him that it might for me. And then, are you a morning, evening, or night person? Do you eat alone or socially? Is eating and drinking and preparing food a big part of your culture and heritage? Keeping the food diary for a month is a great start. And, you will get even more informed self care ideas when you investigate deeper into your body type and what sorts of nutrients will fuel you. I would also consider hiring help here, especially if eating healthy has been a challenge for you in the past. And I am not even talking about dieting here. I have never dieted in my life- but do I think that I eat healthy? Not all of the time! Eating unhealthy can even mean how little you eat, how you space it out, if you are always eating in the car, or if you don’t take time to actually enjoy the nutrients that you are putting into your body. Sometimes food issues are wrapped up within other parts of our lives. 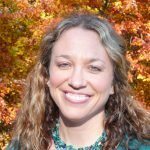 Since we are too close to see the trees through the forest, so to speak, we may need an outside supporter who can help us with these self care ideas. 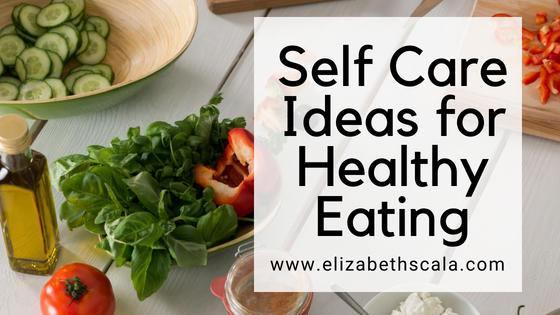 Since so many nurses approach me online asking questions about how to stay healthy as a busy nurse, I figured… why not help out with some self care ideas for holistic health! I am super excited to bring you another five-part mini podcast Make the Shift series! This time we’re talking all things related to eating healthy. And the biggest challenge to eating healthy! Get Started with Your Selection of Self Care Ideas Today!